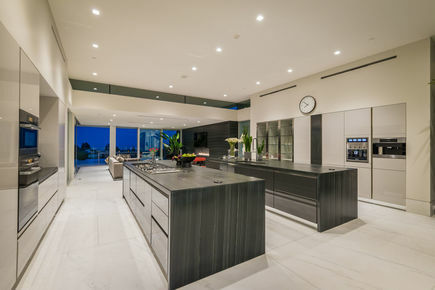 Newly-built modern Paul McClean Architectural estate in Beverly Hills awaits a new owner. 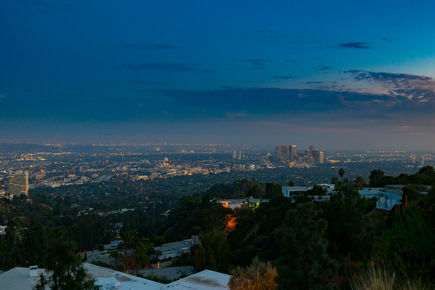 A private 12 foot glass gate opens and invites one to sweeping views of City lights and the Pacific Ocean. 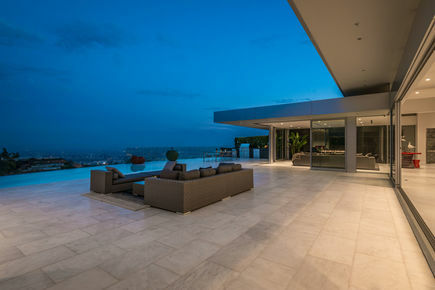 Luxurious glass doors expand the patio entertainment area with the expansive interior flow of the home. 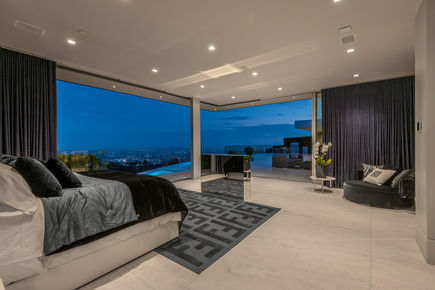 Morning views from the Master bedroom overlook the infinity pool and city views. Slab book-matched marble floors and designer craftsmanship elevate this home to an ultimate estate. 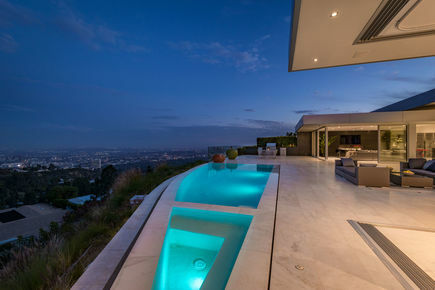 12 foot water fountain creates a sunny courtyard below for private entertainment and living. Complete with a twelve seated theater, a gym and steam room, full bar and lounge area. Showcase kitchen designed to impress with a service wine station. 6 Bedrooms and 8 baths are included in this 9393 square foot home automated by a Crestron System. A home of distinction and a destination lifestyle.